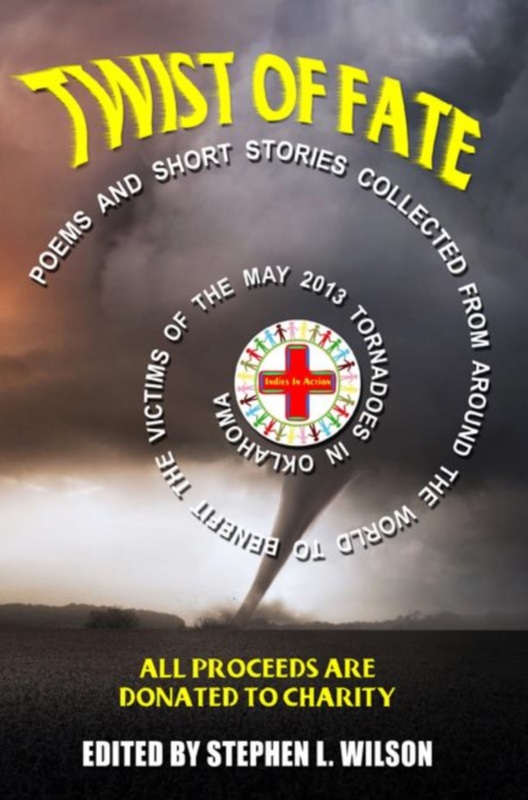 The ‘Twist Of Fate’ anthology which raises money for the victims of the Moore tornado, is available for purchase here. Kindle version here. I currently have an essay at The Magill Review here. This entry was posted in Poetry, Rants & Ramblings and tagged 4th of July, Charity, Colin Dardis, Ency Bearis, Melissa Fry Beasley, Moore tornado, Noah Smock, Oklahoma tornado, Rich Feguson, Shawnee Tornado, Standing in Solidarity, Stephen L Wilson, Twist Of Fate Anthology, Zach Fishel. Bookmark the permalink. ← 10 Poems @ ‘Sound Of Poetry Review’! Wow! !